By now you know that I love hosting theme parties. Usually they coincide with a holiday, but this month I wanted to do something that I had never done before…a masquerade party! After hosting a New Year's Eve party to ring in 2016, I had a lot of friends who were excited about attending the next big event. I started planning and knew right away that it would be a dance party, high energy and of course a ton of photos would be taken. Those were really my top three requirements. 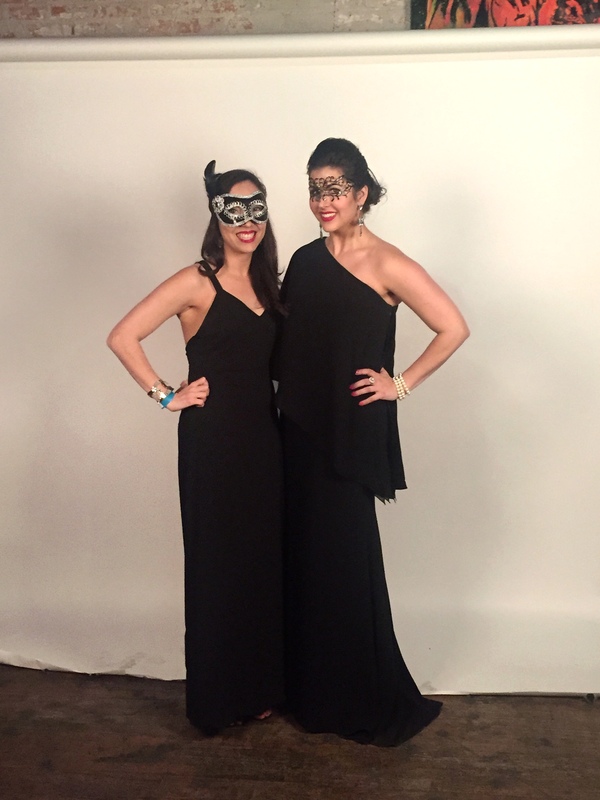 My New Year's party benefited a local Dallas charity called Champions of Hope, and I knew that I wanted to benefit another worthy cause with the proceeds from the March Masquerade. This party benefited Dallas Life, a homelessness recovery and transition program. Of course you know music is an important part of any party, so I asked my two favorite DJs if they would spin for the masquerade party. Once guests started arriving and the dance floor started to fill up I knew that the party would go all night and we would be dancing until 2am. One of my favorite aspects of an event is photography, so my friend and talented photographer, Brandon Mikeal, took photos on the dance floor and set up a photo booth for the event. The photo booth photos from that night are some of my favorite from any events that I've ever hosted. My friends are ridiculous! Towards the end of the night my feet were so tired from dancing all night and I was having so much fun that I put on my Nikes and continued to tear up the dance floor! Thank you to everyone who helped make this event a success! Looking forward to many more dance floors with you all!